Bryant Park Blog: Happy Thanksgiving! 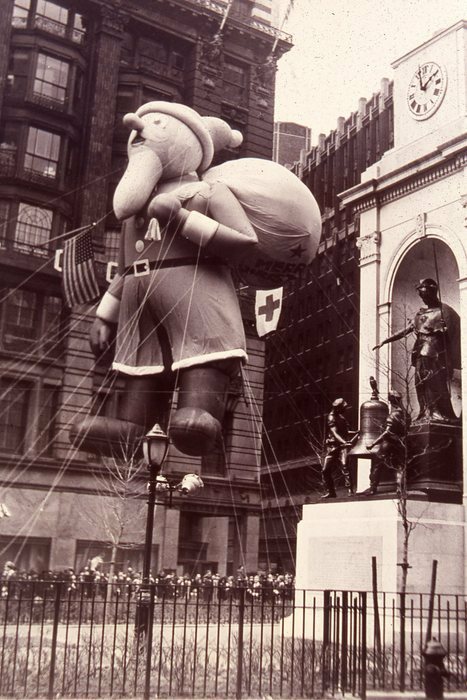 Macy’s Thanksgiving Day Parade at Herald Square, circa 1940. Black Friday shoppers take note: The Holiday Shops at Bryant Park will be open tomorrow, so drop dad and the kids at The Pond and get a jump start on gift buying. Visit facebook.com/BPHolidayShops for info on post-Thanksgiving deals. If you’re heading a few blocks south to shop on 34th Street, check out the comprehensive list of Black Friday sales and deals in the area compiled by our “Shop Bryant Park” guest blogger, Fashion Herald. Photograph from the 34th Street Partnership archives.